The Orange-White Game is as more showcase than actual game. 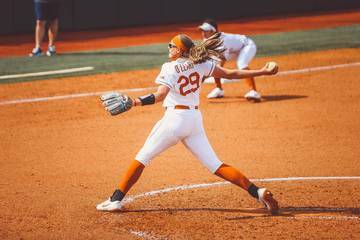 A spring game is a chance to fill the void of football offseason for fans anticipating a big year for the Longhorns. It also offered the coaching staff the opportunity to host dozens of top targets in the 2020 and 2021 classes. Recruits came in from across the nation to watch the game, visit campus and see Ludacris perform. The score never mattered, not to the recruits. It was an opportunity to hang out in the same place for the 2020 targets and current commits. Broughton is clearly a top target for Texas because fellow commit Jake Majors also mentioned hanging out with the four-star defensive tackle from Houston Cypress Ranch. For the younger guys, the spring game was another chance to grow relationships with the coaching staff. Brockermeyer is considered the best offensive lineman in the cycle. Texas holds an advantage with his dad Blake a Texas-ex and his brother Luke currently playing linebacker. 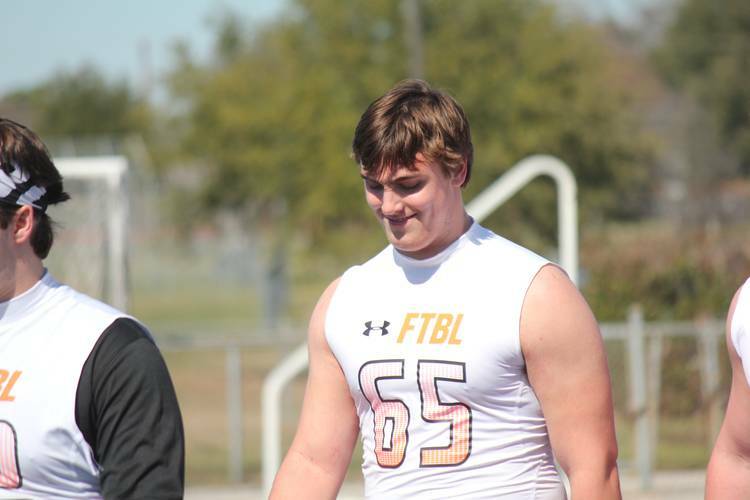 The Longhorns tightened that advantage on Saturday by offering his brother and fellow offensive lineman James Brockermeyer. The 2021 class is stacked with offensive line talent. The trio of Reuben Fatheree II, Hayden Connor and Bryce Foster were in town for the spring game. All are potential five-star talents. The three are usually found with fellow five-star offensive tackle Donovan Jackson, but he went to Ohio State’s spring game. The Austin area is home to a pair of elite defensive linemen and both were at the Orange-White game. Bastrop Cedar Creek defensive end Alfred Collins and Manor defensive lineman Princely Umanmielen are priority targets. Umanmielen is a bigger player with the potential to grow into a defensive end. Collins is a traditional defensive end with a 6-5 frame. Both are members of the 2020 Fabulous 55. One of the top defensive back targets in the 2020 cycle is Aldine MacArthur cornerback Joshua Eaton. His stock soared this offseason with Texas among the first power schools to throw him an offer. He was in town with Fast 7v7 teammates like safety target Xavion Alford. Eaton was impressed with the defensive performances. A 2021 cornerback to watch is Katy’s Hunter Washington, who was recently awarded four-star status.